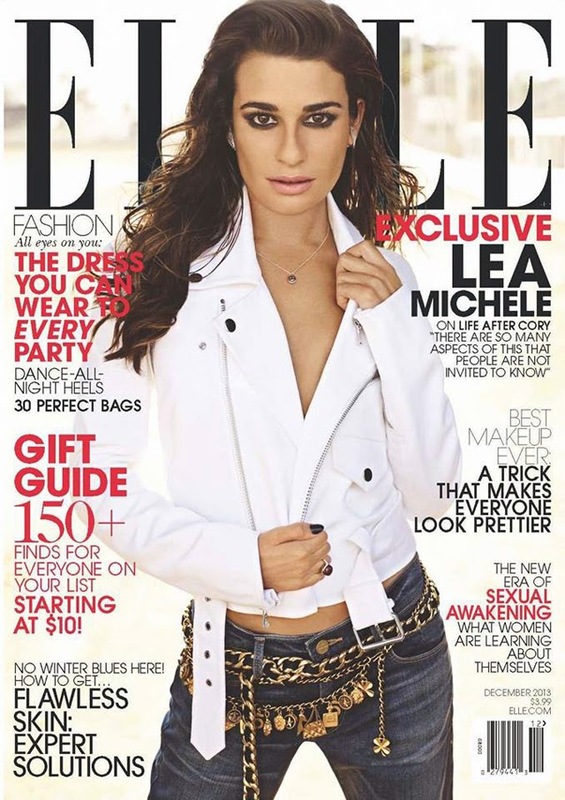 Lea Michele is Elle's chosen cover girl for the December 2013 issue wearing Ralph Lauren and Frame Denim. That all being said, we barely recognized the girl staring back at us. Her thin face and tiny frame have shrunken dramatically from her premiere Glee days, but there's certainly no need to explain why stress may have played a role in creating such a drastic change in her appearance. Sadly, you will remember that Lea Michele recently lost her Glee co-star and boyfriend in a tragic drug overdose. In the new issue of Elle, Lea talks about her loss, how she's coping and what's next. While it's hard not to be cynical about a star appearing on a magazine cover to discuss loss so shortly after experiencing such devastation, we suppose all people handle such tragic events in different ways.